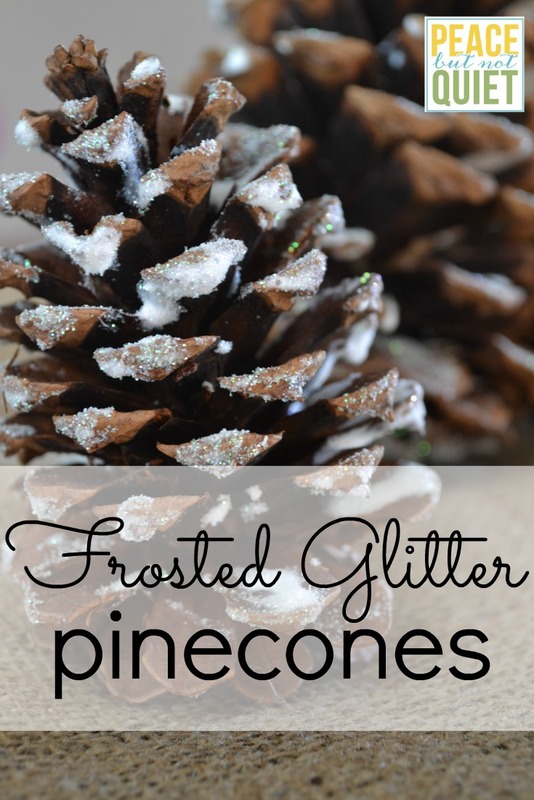 Glitter Pinecones and a Massive Holiday Giveaway! I live in Colorado. It’s November. And we have no snow. What’s a girl to do? Make some fake snow decorations and hope for the best. 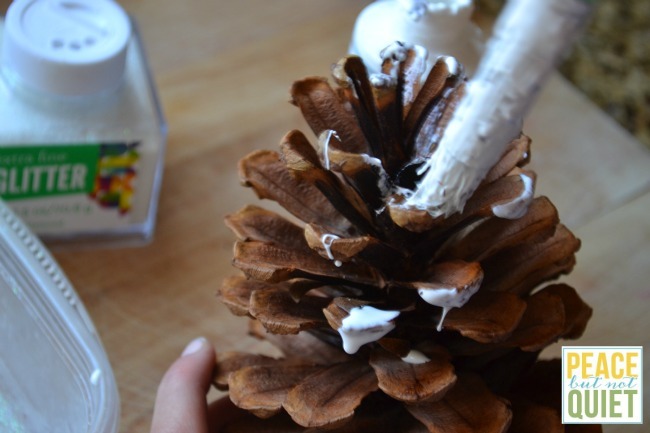 Holding your pinecone upright, paint all the leaves (are those things leaves? They look like leaves, but no one can tell me what they’re actually called) with glue. 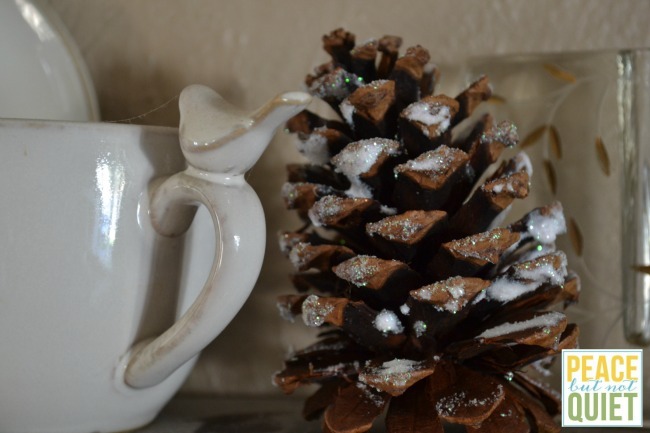 When your pinecone is covered to your satisfaction, hold it over your container and shake glitter everywhere you put the glue. The glitter will collect in your container, so you can roll the pinecone in that when you’re done shaking on the glitter, to make sure it’s nice and covered. 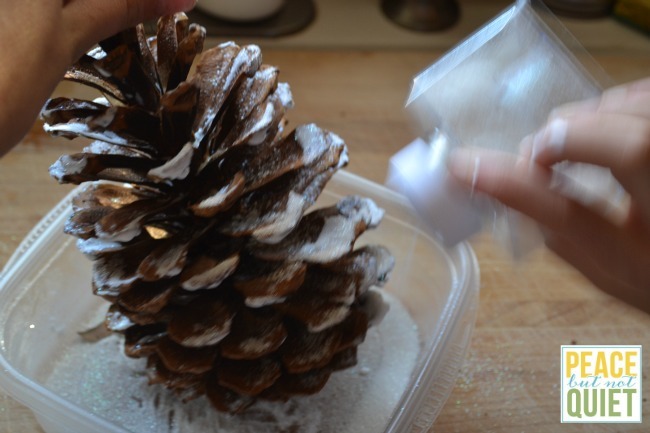 Give your pinecone a good shake when you’re done, to remove excess glitter, and let dry. So many ideas for decorating with these! You can use them as fillers in bowls, or display them on your mantle, or just prop them up here and there around the house. My kids have some in their windowsills, where they can watch the sun hit the glitter and make it sparkle. Or you can screw a small eye hook in the bottom, and hang them from a chandelier or curtain rod. And now that I’m in a holiday spirit — we have a giveaway! 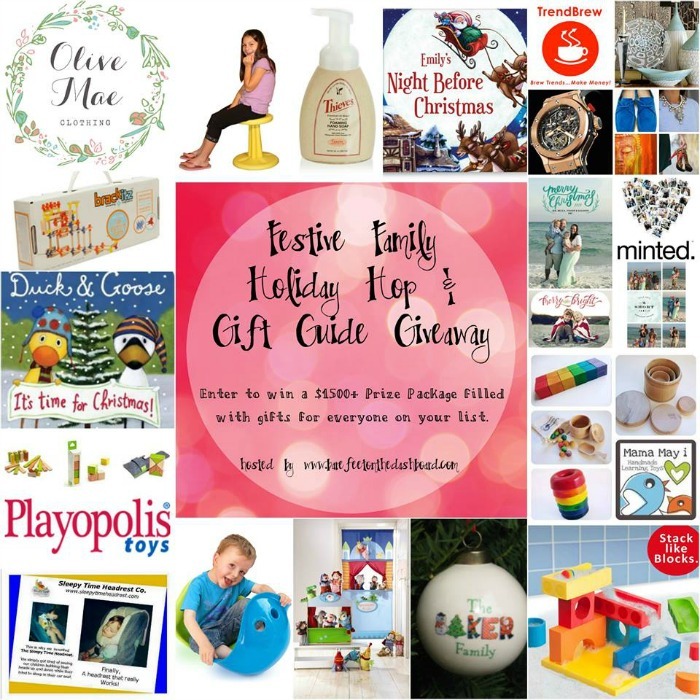 A Festive Holiday Hop and Gift Guide Giveaway, to be more exact. We did this last year, with several prize packages…but this year we’re doing one, giant prize worth more than $1500 for one lucky winner. Christmas Poems to Color from Are We There Yet? I’m going to spend a good amount of time today checking them all out — there are some great ideas here! oh how neat! Thank you! These pinecones are SO pretty! Thanks for the great how-to! Glitter makes everything more festive! I love the idea of using nature to decorate indoors! me, too! I get cranky when I can’t get outdoors, so I need to bring it in with me!